Wiener Werkstatte Gold and Silver tone Round Beaded Ball Necklace. Attributed to the Wiener Werkstatte, Vienna Austria, early 20th Century. The necklace has been meticulously restrung. 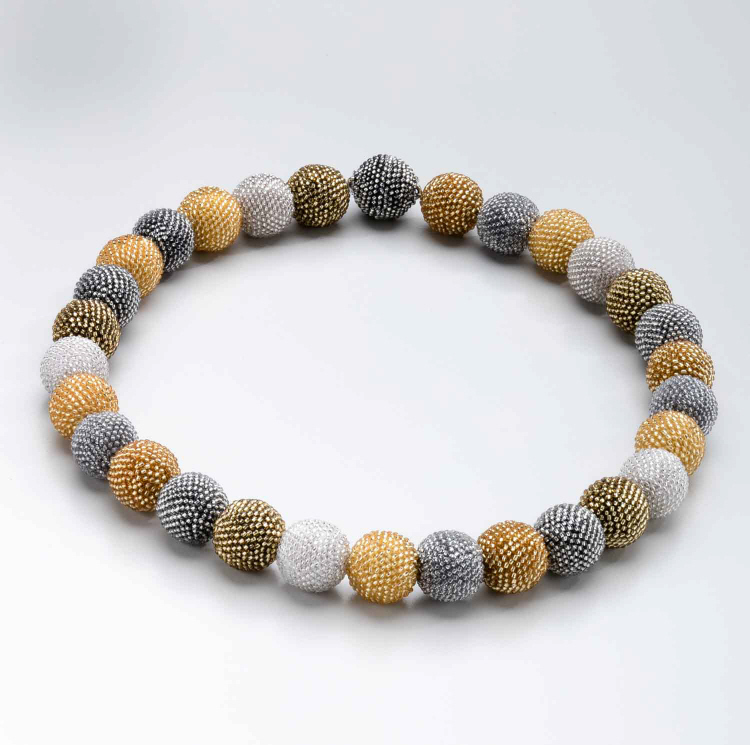 This necklace is composed of beaded balls that are in an array of metallic colors: gold, silver, brass and pearl tones. 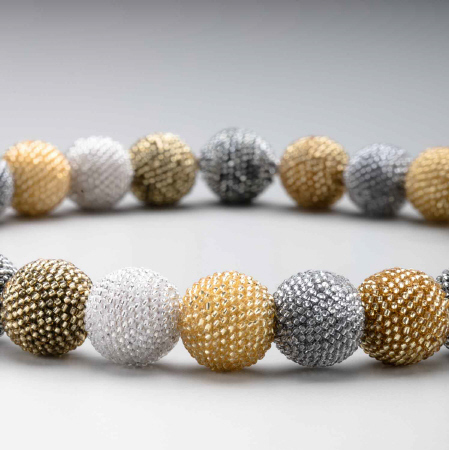 Each ball is composed of handmade metallic micro beads. The necklace is fitted with a magnetic silver ball clasp. The necklace measures 18 inches long and the beads are approximately .75 inch diameter. The necklace is in excellent condition.